On Friday 8 December, Mr Mark Nichols, General Manager of Trimble New Zealand and Board Member of the Geospatial Research Institute Toi Hangarau, presented the University of Canterbury the first two of ten new portable GPS receivers. 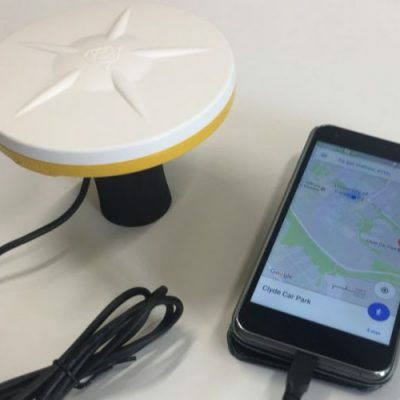 The device can be attached to an android phone and processes data in real time by the GPS engine inside. When running on high accuracy mode, the vertical accuracy is around 2-3cm, while if it is further away from a station the accuracy is around 5 cm. When running in non-high accuracy, the vertical accuracy is around 3 meters. The rubberized piece on the base of the unit is there for easy mounting onto a pole or stick. Trimble are gifting the Geospatial Research Institute Toi Hangarau with ten of these devices before they are available for commercial release.  Two have been received this month, with a further 8 to follow in February 2017, The GRI will make these available to anyone in the University who has a research or experimental application for this technology. For more information, please contact Wayne Tyson at the Geospatial Research Institute Toi Hangarau.